Show your catching skills! Fulfill your childhood dream of catching eggs without breaking them. Enjoy playing and happy catching! A simple, fun, highly addictive yet challenging game. An ancient game widely played in rural South Asia and other parts of the world. The game is played with 2 sticks, a larger one called danda, which is used to hit a smaller one, the gilli. Enjoy playing and happy hitting the gilli with your danda! UltPult Studios comes up with the new, exciting & fun game you have never played before, “Gotta Go”. Hungry hippopotamus is a tabletop game made for 2-4 players. 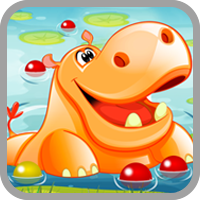 The main purpose of this game is to collect the Candies from the board using Hippo. Hungry Hungry hippopotamus is a tabletop game made for 2-4 players. The main purpose of this game is to collect the Candies from the board using Hippo. Successfully hit the target kancha/marble with striker and then pot the striker. Widely played game in rural South Asia and other parts of the world. Enjoy playing and happy potting! The world’s #1 PING PONG Star game for Mobile and Tablet has just arrived! Pick up the racket and become the champion of this amazing Ping Pong game. 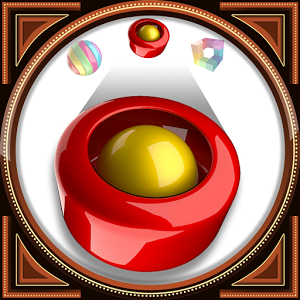 A simple, fun, highly addictive yet challenging game. Keep an eye on the different shapes in the top bar and match with the shapes coming up from down by tapping on them. Sharpen your shooting skills! The scene is of a mela (festival) and you are there to prove your shooting skills. Enjoy playing and happy shooting! UltPult Studio comes up with the new concept of slingshot shooting game for free with Augmented Reality. SUltPult Studio comes up with the new concept of slingshot shooting game for free with Augmented Reality. Super Mouse Jump is an arcade adventurous game made by UltPult Studios.